Extang vs. TruXedo: Which Tonneau Cover is Right for Your Pickup Truck? You’ve been so happy ever since you bought your truck. From hauling your tools around to bringing your bicycles to the trail, your truck bed is used for just about everything. But, without the protection of a high-quality tonneau cover, your payload is constantly exposed to weather damage and theft. That’s why you’ve finally decided to bite the bullet and give your cargo the protection it deserves. But, now the only problem you face is the battle of Extang vs. TruXedo—which tonneau cover is best? When choosing either TruXedo or Extang, there are a few things you want to keep in mind. While both brands design some of the finest tonneau covers on the market, the one that’s best for you depends primarily on your specific needs. Are you looking for a hard tonneau cover or a soft one? Do you need one that locks for extra payload protection? Would you rather have one that folds forward and backward to make your gear more accessible? These are all important aspects to consider when making your buying decision. 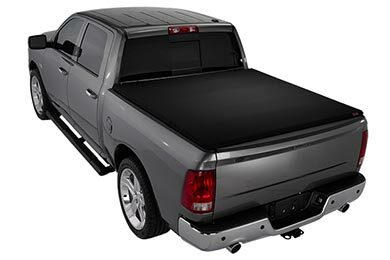 If you’re looking for a soft truck bed cover that delivers the same protection you’d expect from hard covers, take a look at the Extang Revolution tonneau cover. It opens and closes in just seconds, making it easy to access your gear. Plus, the Extang Revolution boasts twin spring-loaded latches that secure your cover closed at the tailgate. The TruXedo Lo Pro QT is another top-selling soft cover that delivers excellent protection against weather damage. Rather than snaps or adhesives, the Lo Pro QT tonneau cover features 1.5” Velcro straps for superior sealing power. Plus, its low-profile, aerodynamic design helps to improve your gas mileage. Still can’t decide between Truxedo and Extang? 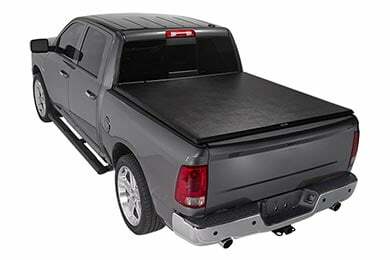 Check out the tonneau covers reviews on our website to help make your decision easier. We have reviews on truck bed covers hard and soft, made by any brand you choose. See what people are saying about the Extang Trifecta or the TruXedo TruXport. You can even check out our vehicle-specific reviews to see how easy the TruXedo TruXport Roll-Up tonneau cover is to install on your exact truck. No matter what you want to find out, we make it easy to get the information you need. I contemplated between the Trifecta and a hard cover. Considering the $300 price difference I chose the Trifecta. I'm very happy with the cover. It keeps everything in the bed of my truck safe from the elements. Instalation was a breeze. It took me longer to get it out of the box than actual instalation time. Supper fast shipping, and great service. Highly recomended!!! The TruXedo TruXport tonneau cover was shipped next day and arrived in good condition a few days later. All parts were in the box including instructions. The cover was packed in styrofoam, which prevented damage to the box during shipping from damaging the product. The installation instructions are not entirely clear so I had to fill in the blanks. It took less than 2 hours to install on my 2011 Chevrolet Silverado 2500HD Extended Cab. It fits well and is easy to roll up and back. It seems to fit securely. will it block my boxes? Hello. The Extang FullTilt Tool Box Tonneau Cover may block latches and locks on certain low-profile style tool boxes that lie or are attached to the back of the bed. The tonneau does not cover boxes that extend beyond the bedrails. Thank you for your question. Will I need to cut my Tacoma? Will I need to cut or notch anything on my 2012 Toyota Tacomma to install this cover? Hello. You should not need to cut any part of your Tacoma. If you have a bed liner that goes up over the rails, then that may need to be notched. Thank you for your question. Reference # 754-010-879 © 2000-2019 AutoAnything, Inc.